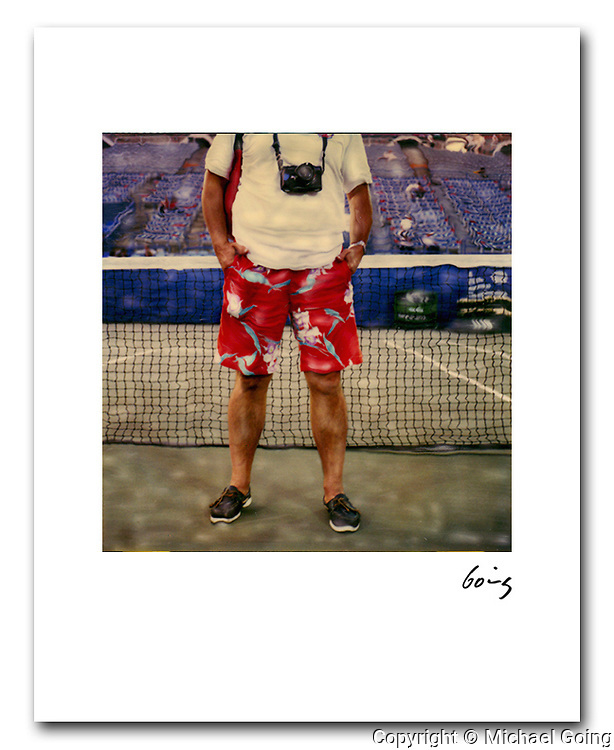 Hawaiian Shorts Center Court US Tennis Open 1985. 8x10 archival pigment print 100.00 free shipping USA. Hand altered Polaroid SX 70 photograph. Printed to order and individually hand signed.